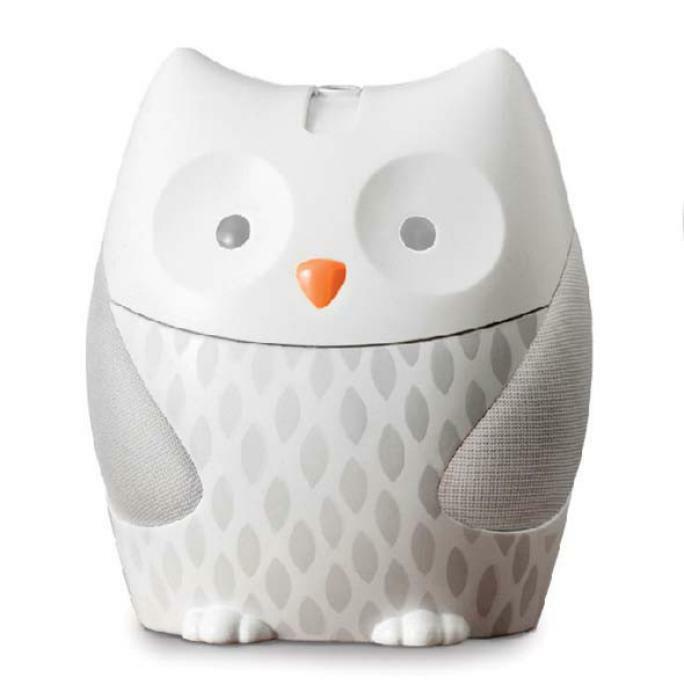 Skip Hop of New York, N.Y., is recalling about 151,500 Moonlight & Melodies owl nightlight soothers sold in the U.S. and Canada. The company says it is aware of incidents of the power adapter breaking, including one that resulted in an electrical shock. The white and gray owl soothers measure about 5.5 by 4.5 by 6 inches. The white elephant soother measures about 7 x 4.2 x 5.7 inches. The soothers have a sound speaker on each side and operation buttons at the top or the back. The Skip Hop logo is on the underside of the soother. The soothers, manufactured in China, were sold at Babies R Us, Buy Buy Baby, Target and other retailers nationwide and online at Skiphop.com and Amazon.com from July 2016, through August 2017, for approximately $40. Consumers may contact Skip Hop toll-free at 888-282-4674 from 9 a.m. to 5 p.m. (ET) Monday through Friday, by email at recall@skiphop.com or online at www.skiphop.com and click on Product Recalls at the bottom of the page for more information.